This summer, our two youngest grandchildren went to sleep away camp for the first time. That was all the inspiration I needed to make this set of cookies! 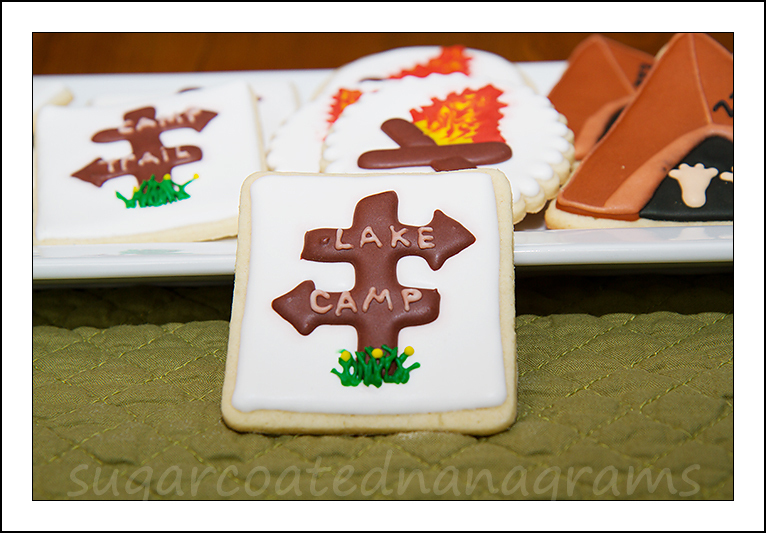 I searched online for examples of camp-themed cookies that others had made, and was lucky enough to find several photos to inspire my project. I couldn’t find any instructions, so I decided to create a simple tutorial so that you can make them too. Before beginning any new “cookie project,” I assemble the cutters I want to use. As you can see, the shapes are very simple, but I didn’t have anything that I could use for a tent. 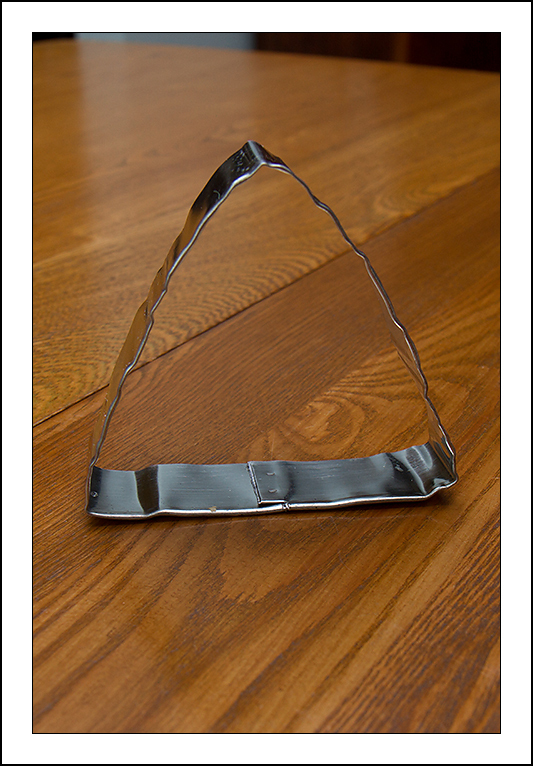 My husband took a cookie cutter that I never use, and reshaped it to look like a tent. Even though it looks wrinkled, the cookie edges were straight and it worked fine. 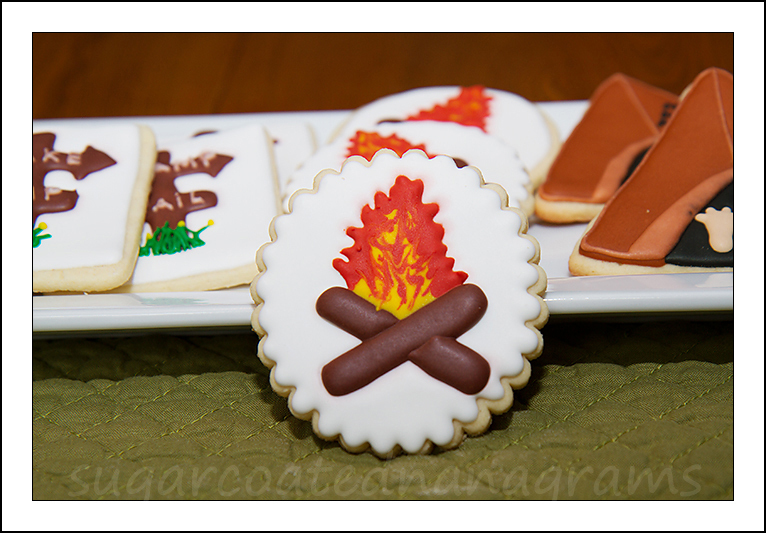 I decided to make transfers for the campfire and the sign to help minimize the bleeding that sometimes occurs when layering designs on a cookie. This is especially helpful when the weather is hot and humid. I started with the campfires. I traced the cookie cutter that I wanted to use on a piece of paper and drew a rough sketch of a campfire onto the shape to insure that it would fit the cookie the way I wanted it to. I started with the logs for the campfires. I used small magnets to hold the waxed paper in place while I piped the first log. I let the first log crust for about 15 minutes before adding the second log. Once both logs crusted, I went in and started to add the flames. I placed a small amount of yellow where the logs crossed. Next, I added the red/orange icing roughly following the design. There is no need to be too precise. Smooth the frosting with a needle tool or a toothpick, and then add some yellow. You may need to experiment a little to make it look like flames. This is how I did it. 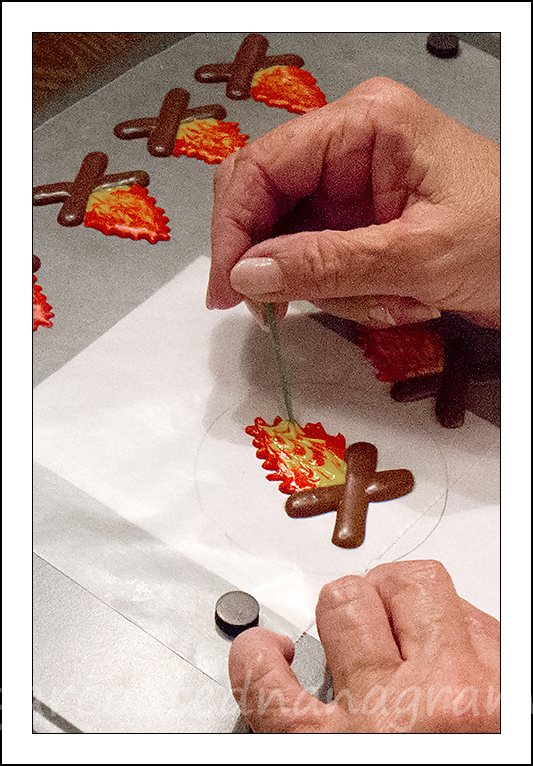 Drag a toothpick or needle tool to create the flames. 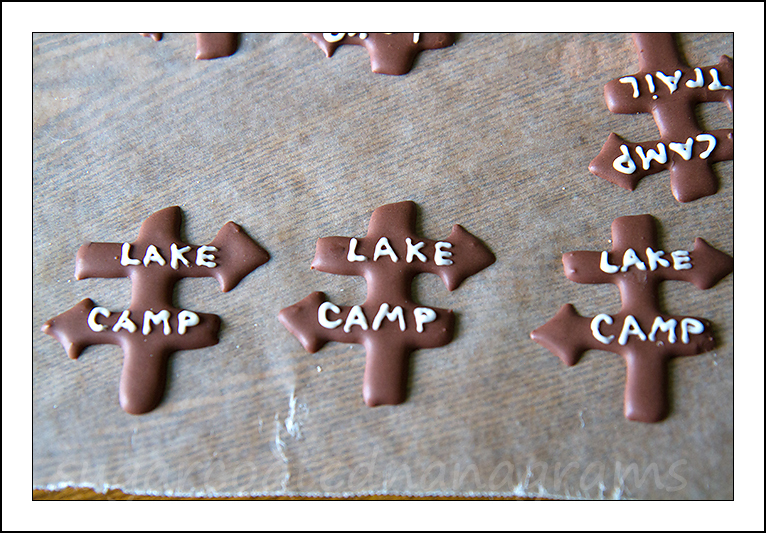 Once all of the transfers have dried for 24 hours, you can add them to your frosted cookies. 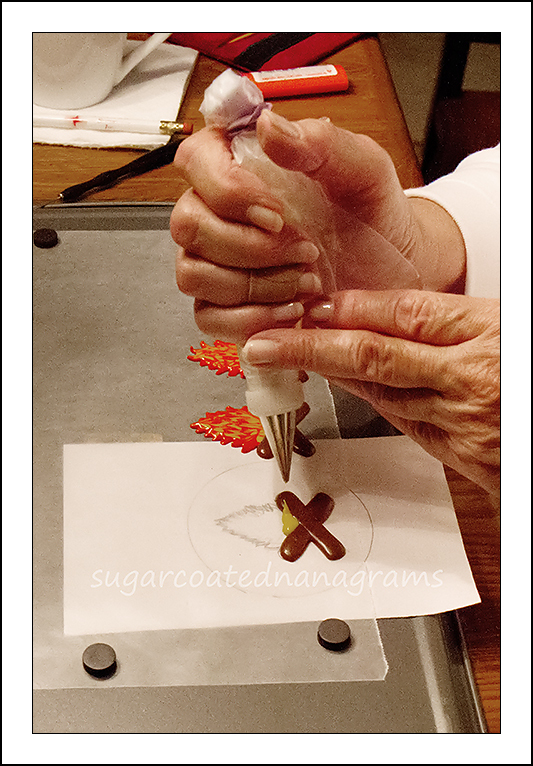 You may either add them to freshly frosted cookies before the frosting has dried, or you can add them to dried cookies by using a few dabs of royal icing to “glue” the transfers in place. Next I made the signs. I made a rough sketch of a sign post, placed it under my waxed paper and piped the shape of the sign. I then used a toothpick to pull the edges into a shape that would resemble the ends of an arrow. Once they were dry, I piped the words onto the sign. My handwriting is horrible under optimum conditions, but these are supposed to look rustic, so I wasn’t too worried. Do you see how white the letters are? 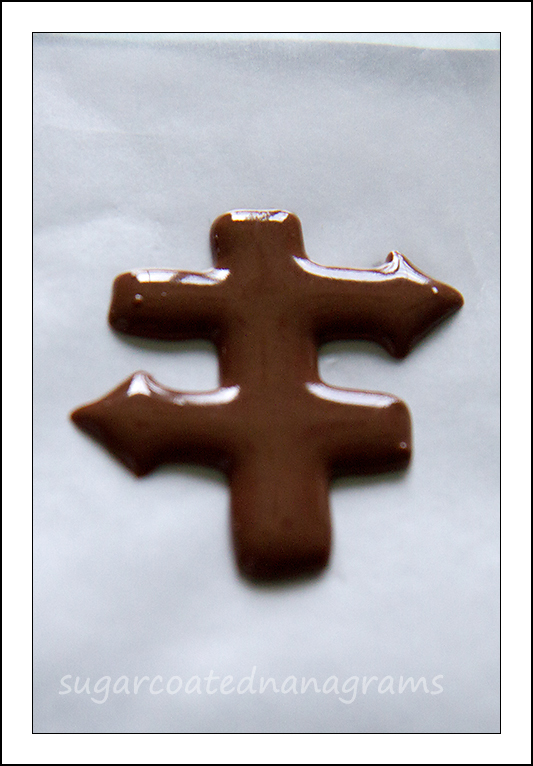 If you look at the finished cookie you will see that the brown bled into the letters making them beige. For this project, it was no big deal. I think the problem was that I forgot to color the frosting I used for the letters. I always add white food coloring to my white frosting, but forgot this time. I think adding the white food coloring makes the icing more opaque. 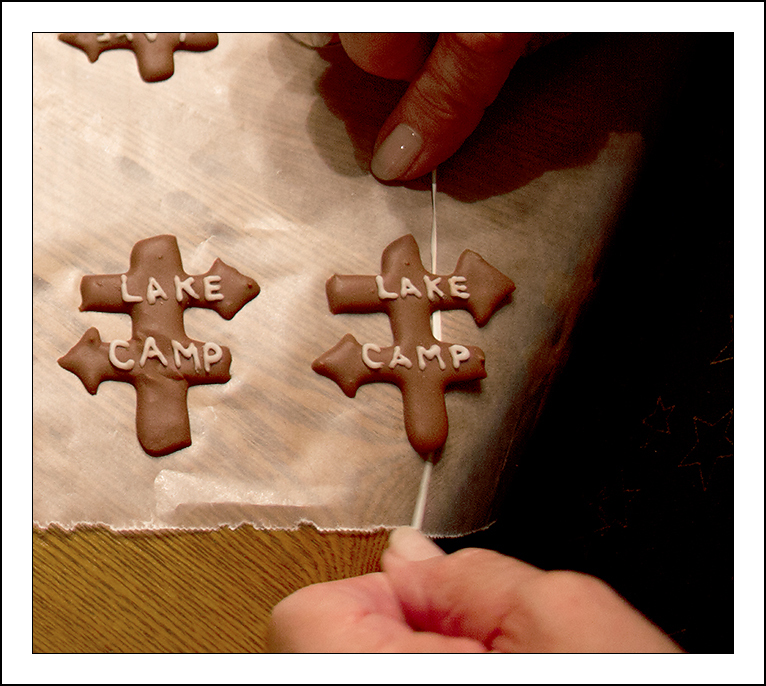 Once all of the transfers have dried for 24 hours, you can add them to your frosted cookies. 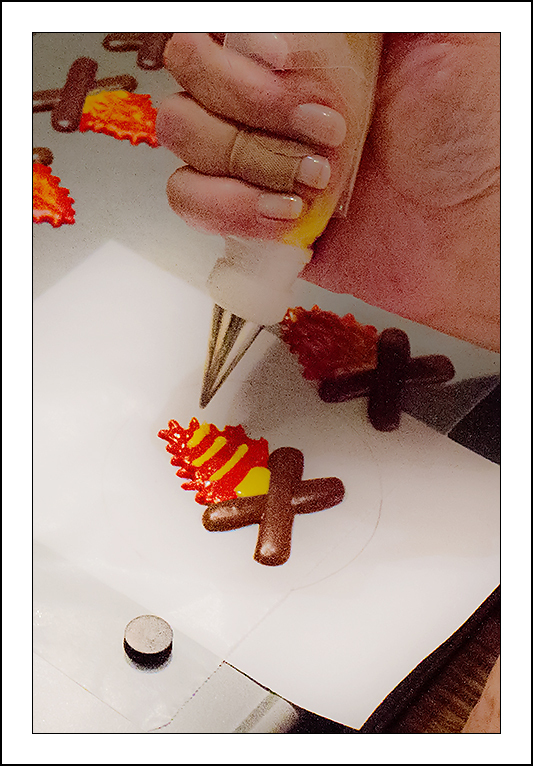 You may either add them to freshly frosted cookies before the frosting has dried, or you can add them to dried cookies by using a few dabs of royal icing to “glue” the transfers in place. Here you can see how the brown bled into the letters. If you add the transfers to wet cookies you will have to let them dry before you add the green grass. I have found that the easiest way to separate the transfers from the waxed paper is to use dental floss. First you move your waxed paper to the edge of a table or counter so you can release the waxed paper from an edge of the transfer. Slip your dental floss under and edge, and while holding close to the table start moving the floss under your transfer. For the little feet, I drew a foot on a piece of paper, slipped it under my waxed paper and piped some frosting onto the shape. I then used my needle tool (or toothpick) to make the shape look something like a foot. Next, pipe small dots of frosting to represent the toes. Drag a tiny bit of the toe to meet the foot. 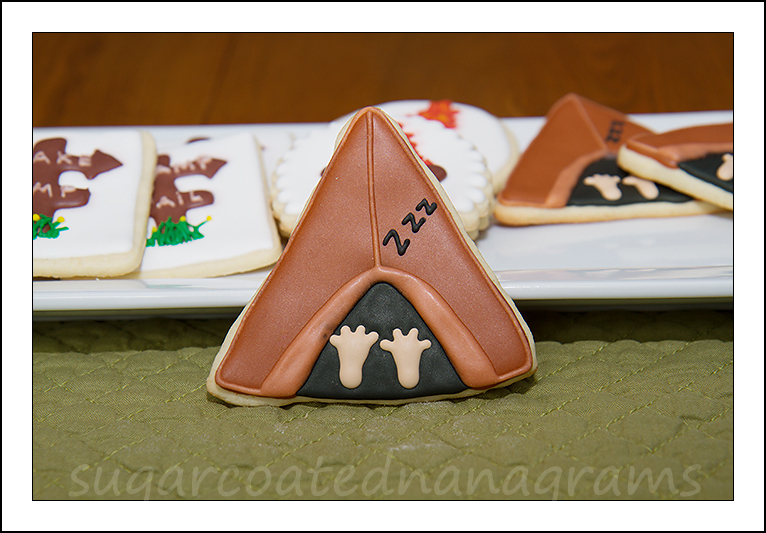 I only had room for 4 toes, but because it’s a silly cookie, I think it’s okay. 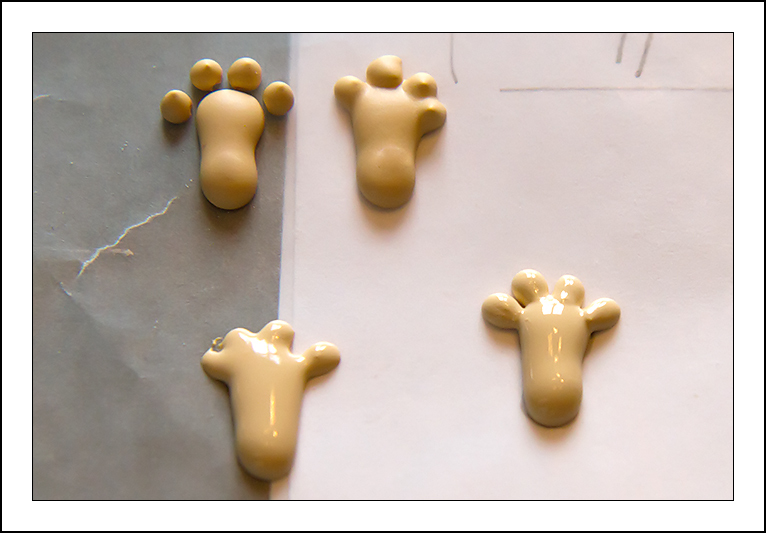 I forgot to take pictures of the foot making process (except for this one), but here you can see some of the pitfalls. If the dots are too close they become almost web like. I made quite a few feet before I got the spacing right (like the bottom right foot). 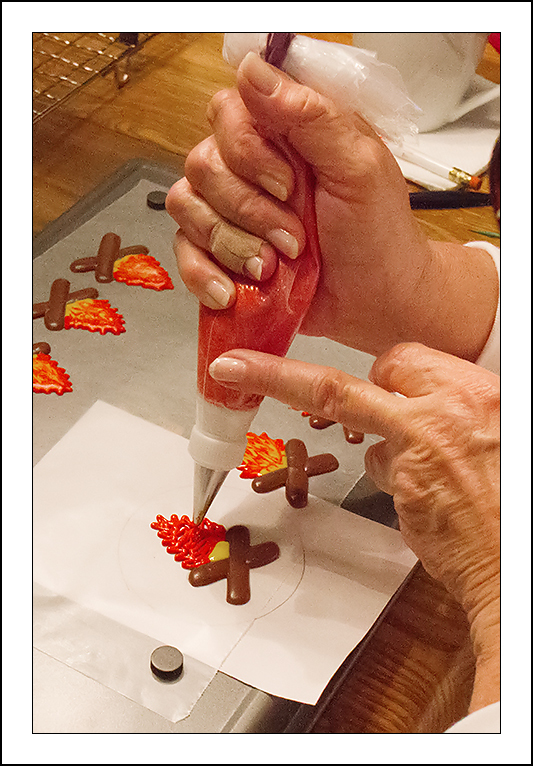 It depends on the consistency of your royal icing, and how much it flows once piped. 1. Draw the opening of the tent. 2. Pipe black royal icing onto cookie and put feet in place. 4. Pipe tent onto cookie. 5. When dry or crusted for about an hour, pipe the outline and rolled edge at the opening of the tent. (I had used all of my brown icing on the tents so when I made more for the trim, I made it a slightly lighter brown because I knew I would never be able to match the color. 6. When completely dry pipe Z’s onto tent. The “marshmallows-on-a-stick” cookies were the simplest. I frosted some cookies with the leftover icing from the feet transfers. 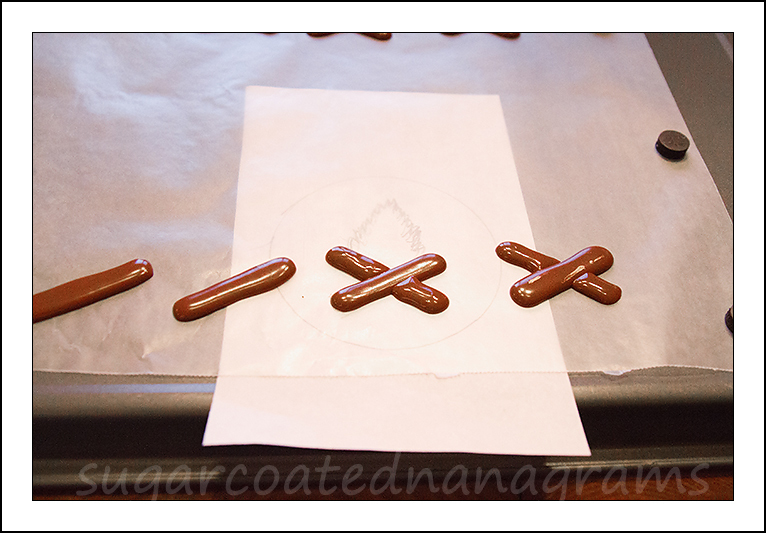 Once they were completely dry, I took some brown royal icing and added the sticks. 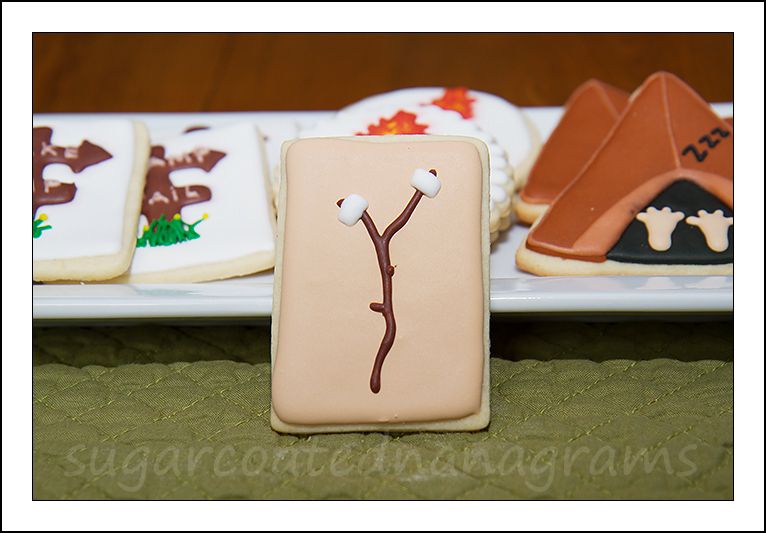 The next day, I added a drop of white royal icing on each twig and used my needle tool to coax them into something that looked like a marshmallow. 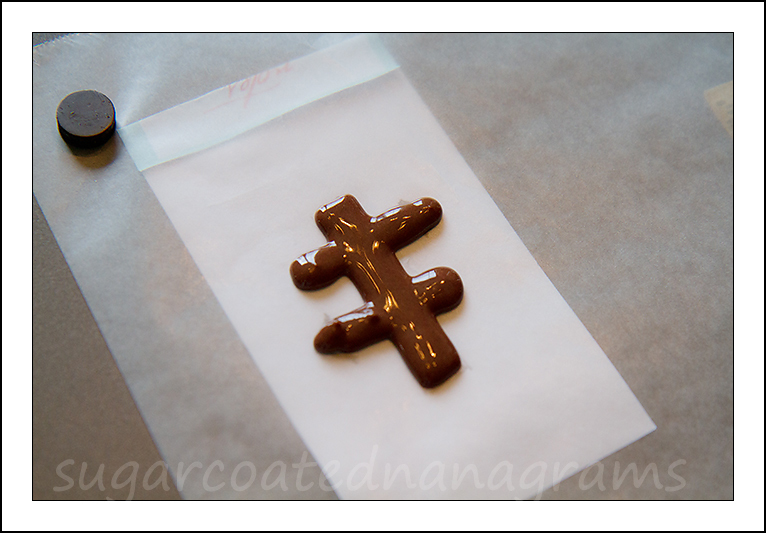 Please post pictures of your cookies, and don’t forget to tag Sugar Coated Nanagrams on Instagram (@sugar_coated_nanagrams) and Facebook! I’d love see what you create! Cool Barb! I’m not a baker but great tutorial ! Might give it a shot!